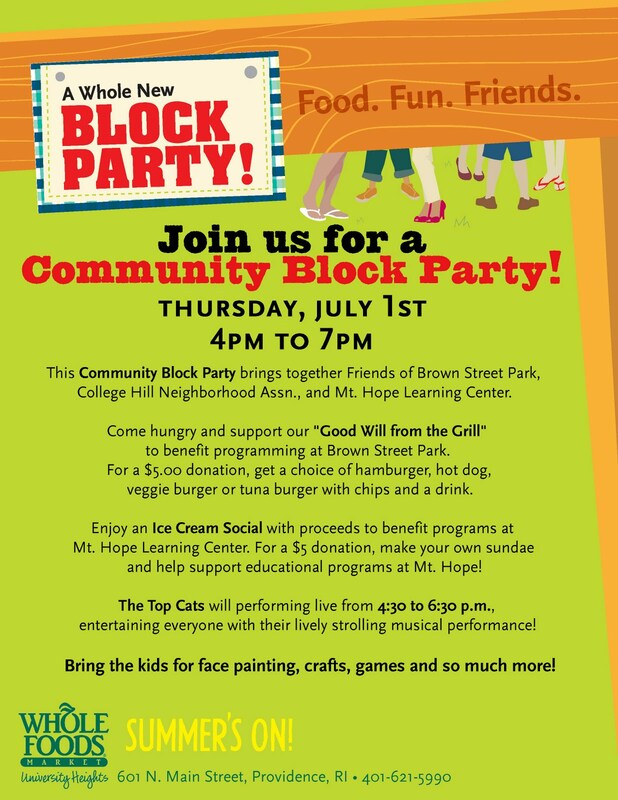 Whole Foods is hosting a Party to benefit Friends of Brown Street Park, College Hill Neighborhood Association and the Mt Hope Learning Center!!! Come on down and enjoy a tasty treat and support us! Hear live music by The Top Cats! 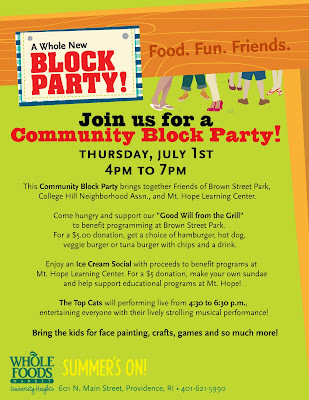 The event will be at their North Main Street Location (Corner of Doyle and N. Main). Click the flyer below for more details.